One of the coolest things about physics is that the same basic concept can pop up in several seemingly unrelated things: say, a CD, the seed shrimp's antennae, certain fossils in the Burgess shale, and scientific instruments used for spectroscopy. I'm talking about a diffraction grating, which Wikipedia helpfully defines as "an optical component with a periodic structure which splits and diffracts light into several beams traveling in different directions." Those period structures are usually dark lines, ridges, or rulings scratched onto plates that either reflect light, or are transparent so light can pass through. In either case, the light splits and scatters into its component colors. 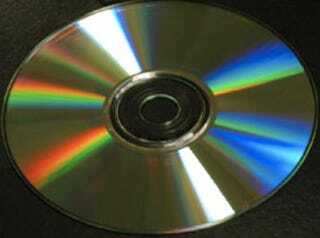 You can see this effect simply by holding up a CD and shifting its angle a few times, so the light scatters off it in rainbow-hued flashes. (Vinyl records — remember vinyl? — also show this rainbow effect because of the way light reflects off the grooves in the vinyl, but it's harder to see.) It happens because of how CDs are made: one surface has many pits arranged in a spiral pattern, with a thin layer of metal over it to make those grooves more visible. And "information" — in the form of the latest tune by your favorite band, or film or TV series — is then encoded into those pits, and can be played back by the laser in your CD or DVD player. The effect of a diffraction grating is similar to that created by photonic crystal structures: the source for that gorgeous flash of iridescent color in peacock feathers, opals, and the wings of dragonflies and butterflies (and the subject of prior blog posts on opals and butterfly wings). The color we see in those cases doesn't come from pigment molecules, but from the precise lattice-like structure of the wings (or shells, or feathers), which forces light waves passing through to interfere with itself, so it can propagate only in certain directions and at certain frequencies. It's similar to a 3D honeycomb, or an egg carton. Depending on the spacing between those building blocks, this creates a "photonic bandgap": certain frequencies of light are blocked, while others are preferentially let through. But these early attempts at diffraction gratings were rough and imprecise, which limited their usefulness in spectrometers — instruments that split light into its component colors and analyze the resulting spectra. Spectrometers are commonly used in astronomy, for example, and in many scientific labs here on Earth, to identify the signatures of specific elements in a given sample. It all comes down to how accurate the parallel lines drawn on the plate turn out to be: the smaller the distance between those parallel lines, the higher the resolution of the gratings. The man who did the most to improve the precision of diffraction gratings was a 19th century American physicist named Henry Rowland. Born in Honesdale, Pennsylvania, he came from a long line of Protestant theologians and his family expected him to become a minister. But young Henry rejected the classics and had a passion from the start for science, particularly electrical and chemical experiments that he devised himself. When he was 17, his family relented and sent him to Rensselaer Technological Institute, where he earned a degree in civil engineering in 1870. After bouncing around in a couple of different jobs for the next two years, he ended up back at RPI as an instructor in "natural philosophy." "I here assert that all can find time for scientific research if they desire it. But here, again, that curse of our country, mediocrity, is upon us. Our colleges and universities seldom call for first-class men of reputation, and I have even heard the trustee of a well-known college assert that no professor should engage in research because of the time wasted." But Rowland's European reputation snagged him a job in the end: in 1875 Daniel Colt Gilman was putting together a faculty for the newly established Johns Hopkins University, the first true research institution in the US (with graduate students and everything). One name that kept popping up when he chatted with European scientists was Henry Rowland, so he offered Rowland a position, which Rowland was all too happy to accept. As a bonus, he got to take a tour of European laboratories to check out their set-ups and purchase any necessary equipment to reproduce similar world-class laboratories back at JHU. Things were definitely looking up for Henry. A highlight of his trip had to be visiting Heinrich Helmholtz's lab in Berlin, where he had a chance to work with the great physicist and conduct an experiment on the magnetic effect of a charged rotating disc — something he'd never had the means to attempt before. And the experiment was a smashing success: he demonstrated unquivocally that a charged body in motion produces a magnetic field. Once he got settled in at JHU, he attacked his scientific pursuits with renewed vigor, conducting a series of experiments to re-calibrate the value for the ohm — the standard unit for measuring electrical resistance — and re-creating James Joule's paddle-wheel experiment for measuring the mechanical equivalent of heat (i.e., how much energy it takes to increase the temperature of water by one degree). He avoided teaching and administrative duties as much as possible, and when he did teach, his students were often devastated by his withering critiques. So it was probably a good thing he focused mostly on research. And then he became intrigued by the problem of imprecise diffraction gratings How did Rowland solve the problem? Why, by inventing a "ruling engine," of course, a machine which employed one main screw that could be used to shift the diamond tip that was used to etch the grating a very small distance between each line during the etching process, done on a concave surface. He went on to use his diffraction gratings in spectrometers to study the solar spectrum, producing an impressive photographic map of that spectrum in 1888. His gratings were so much better than any others available at the time, that he sold hundreds to scientists all over the world — at cost, because that's the kind of altruistic guy he was, at least when it came to science. This post originally appeared on Cocktail Party Physics.